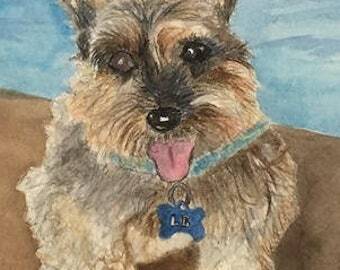 Custom paintings -Watercolor, acrylic or oil portraits of homes, people, pets on highest quality watercolor paper or premier canvas. 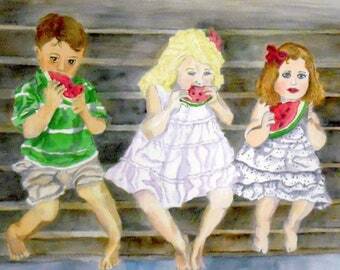 Custom paintings -Watercolor portraits of people, pets on highest quality watercolor paper or premier canvas. Bright & colorful wall art, children's rooms: babies, toddlers, young children. Can be personalized with your child's name and color choice. This was my third time working with Lisa -- she is amazing. She is careful, listens to exactly what you want, asks clarifying questions, and updates you along the way. Her artwork is incredible! She has a great attention to detail and makes everything look just as you remember it. Lisa is honest, has reasonable pricing, and ships things out to you carefully and as promised. I will recommend her to everyone looking for personalized watercolors or oil paintings! Custom Watercolor paintings on highest quality watercolor paper, contact me for even more custom options re: size and subject. This was the second time I ordered with Lisa because I was SO IMPRESSED by her the first time. In addition to her being a wonderful artist, she is also a kind person. She makes it so easy to work with customized art and updates you every step of the way. She is honest about how long things take, what will look best, and when things go out. She even refunds the extra shipping price so you are only paying the exact amount it costs. Most importantly, the final products from her are INCREDIBLE! I am so excited to give her work as gifts to my family this year. Her attention to detail and responsiveness to feedback is unparalleled. Everything is beautiful and as promised. I have now purchased both a watercolor and an oil painting and have been 100% pleased every step of the way! Thank you, Lisa! 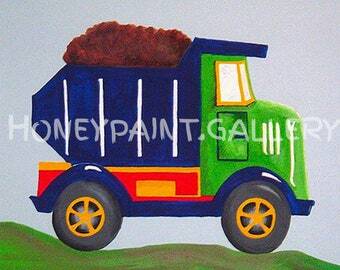 Custom Oil paintings on varying sizes of canvas - your choice! My entire experience with Lisa was INCREDIBLE. From the moment I paid and sent her the pictures, she asked the right questions to make sure everything was how I wanted it. She checked on colors and placement of things, and made me see parts of the painting differently. She updated me with sketches and drafts as she worked. When it came to the "final," she took the one small request I had and made it look perfect. Everything shipped the next day, careful wrapped and protected. The end result was a GORGEOUS, perfect, exactly right watercolor that made me tear up as soon as I saw it. Lisa also refunded the extra shipping I accidentally paid and even made the painting slightly larger than I paid for, because she thought it would turn out better. Thank you, Lisa! I can't wait to order again! Watercolor portraits of homes, people, pets on highest quality watercolor paper. Early stages of a home portrait for a client, watercolor. Check out the next pic of the finished painting. Finished painting, 15 x 22", half sheet of watercolor paper. A custom oil painting, early stages, for a client with an airplane. This stage shows basic blocking of the painting. Artist, art teacher, mom of four grown children. Two of these 'kids' are Special Needs adults who live with me and my husband. Working in my home allows me the flexibility I need in life. I'm a graduate of the School of the Museum of Fine Art, Boston; and also have an undergrad degree in History/Political Science from Samford University. The past is important to me because that is what we are made of. The future is important because that is what gives us hope. Since 2003 I have been working with clients who approached me to do custom, commissioned artwork for them, first in Pensacola, Fl, and continuing here in Birmingham, AL. My husband was a Naval Flight Officer so we have lived all around the U.S., up and down the East and West Coasts of this great country. I have been very fortunate to count many friends and acquaintances through the many moves and through creating artwork for clients. Etsy is a great way to be found by people all around the world, and I strive to work closely with each client to provide 100% satisfaction and give step by step feed back in the process. So many of these clients approach me with projects that are personal for them: a home that they once lived in; a moment in a child's life that they want captured forever; a beloved pet who may have moved on to an eternal playground....just some examples....but all very important to give my all in my work, because after all, they/you are entrusting me with your life memories! I also have a not-so-realistic side to my painting, really loosening up in a non-representational style has both benefited my more realistic renditions as well as helped in the design process of all my work. I love the quietness of nature and am constantly inspired by God's creation, the details of a butterfly's wing, the crash of waves on a sugar white sand beach....remarkable. J. M. Barrie said "Nothing is work unless you would rather be doing something else." I can't imagine that I would ever rather do something else, something other than painting or drawing. Thank you for reading my story. Artist, art teacher, mom of 4 grown children. Two of these 'kids' are Special Needs adults who live with me and my husband. Working in my home allows me flexibility. Graduate of the School of the Museum of Fine Art, Boston. Specialist in custom art.